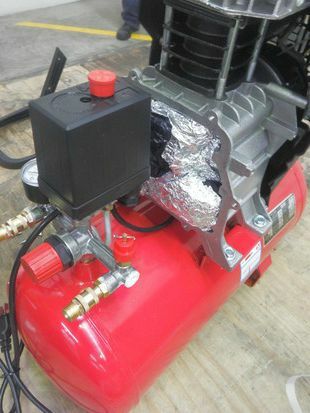 A Nigerian-born Australian man has been arrested for the alleged importation of 30 kilograms of methamphetamine concealed within air compressor units and engine parts. In March 2015, Australian Border Force (ABF) officers intercepted a consignment of 22 boxes, 20 of which contained methamphetamine, from China. One of the consignees for the shipment was identified as a Nigerian-born Australian citizen. On three separate occasions between June and July this year, the ABF intercepted further consignments, all containing quantities of methamphetamine concealed in items such as dresses and skipping ropes, addressed to the same consignee. On 28 July 2015, the Australian Federal Police executed search warrants at residential and business premises in Granville and Parramatta. A number of items were located during the search warrants including fraudulent driver’s licences, a number of mobile phone handsets, additional illicit substances, drug paraphernalia and $3,500 in cash. The total weight of the intercepted methamphetamine relating to this matter is approximately 30 kilograms, which has the potential street value of up to $20,000,000. The man was arrested and charged with three counts of import marketable quantity of a border controlled drug, namely methamphetamine and one count of attempt import marketable quantity of a border controlled drug. He will appear in Central Court today, Wednesday 29 July 2015.